Our day started out bright and early! My maid of honor and one of my bridesmaids spent the night in the suite with the after the rehearsal dinner, so we started out the morning together. 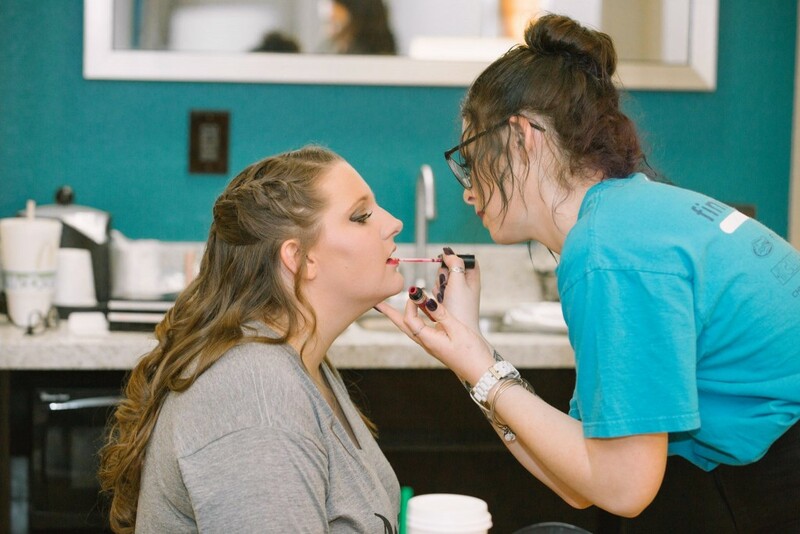 After my makeup and hair trials, my friend (and stylist) decided that it would take about an hour to get me ready. 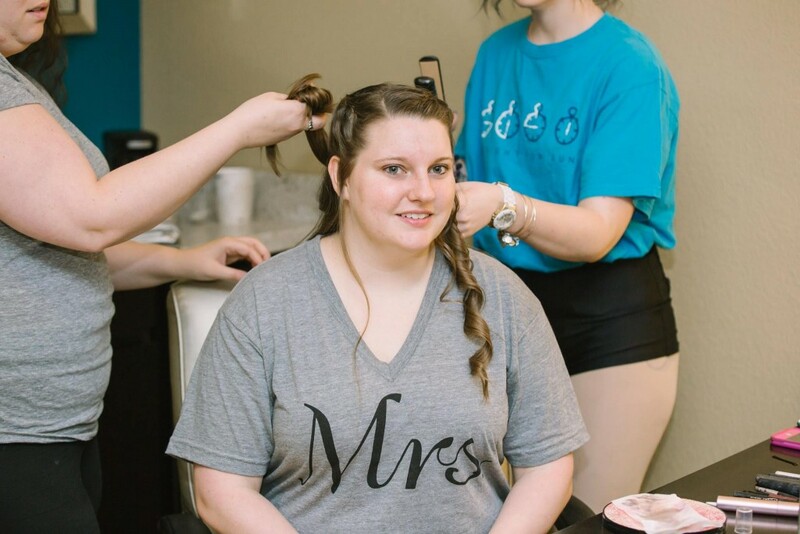 The plan was that my friend would do my hair and makeup, while her other stylist friend started on the bridesmaids’ hair. 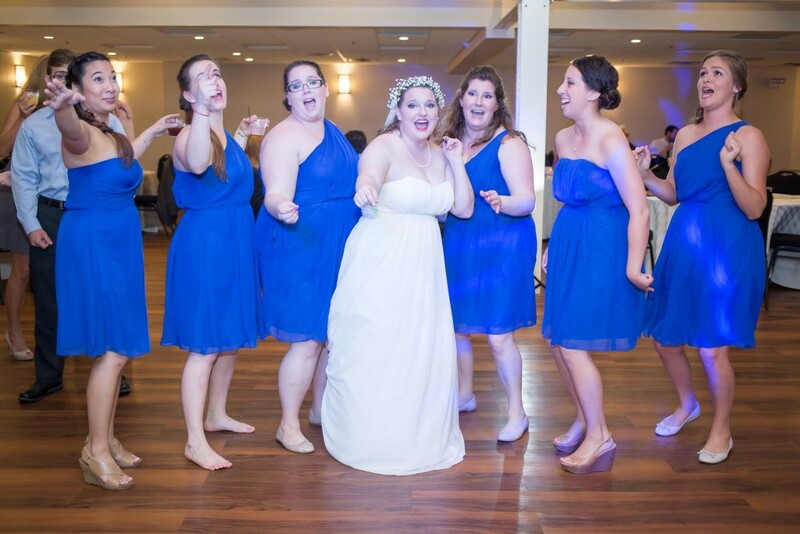 This worked out very nicely since I did have 6 bridesmaids, and we had a limited amount of time in the morning. My photographers and Make Up Artists (MUAs) showed up at 6:15am after our plans had changed the night before to be a bit earlier to give us some extra time. I’m very happy that we planned a little more time than we had originally thought we needed. My sister got us all Starbucks that was around the block from the hotel. 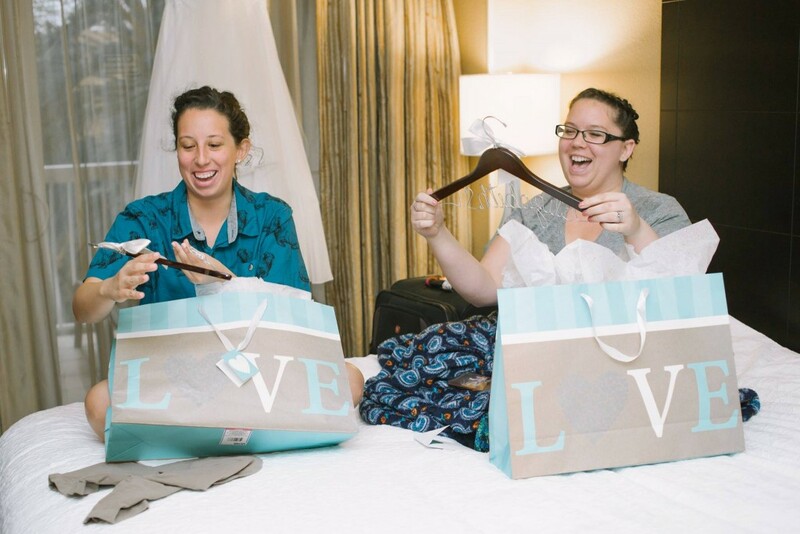 I gave my bridesmaids’ their hangers and handwritten notes. 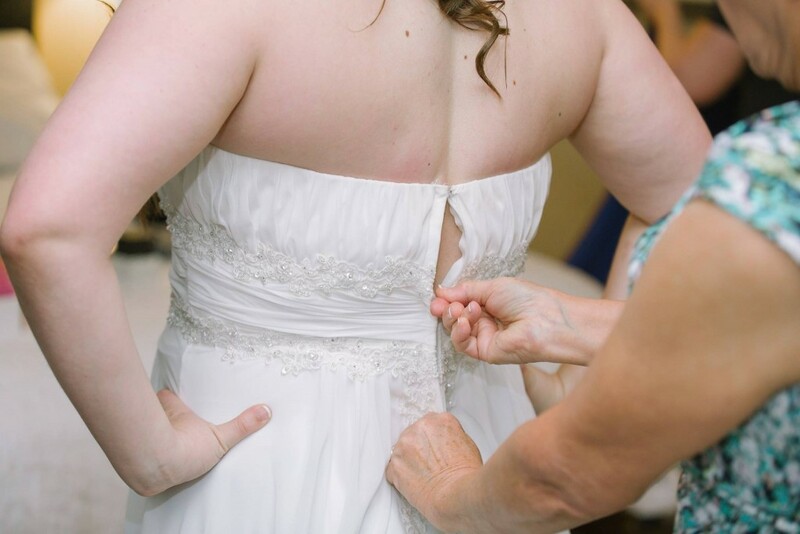 My mom showed up around 8:00am to take our mother-daughter photos and the final touches of my outfit. 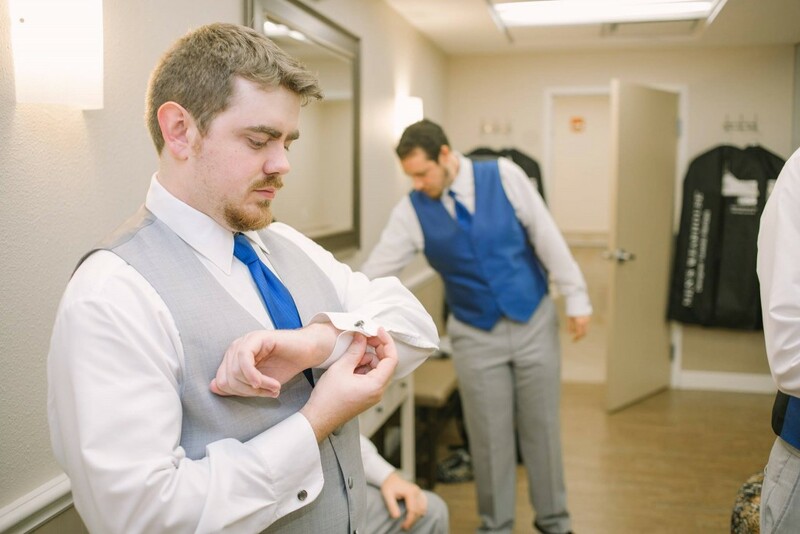 We had decided that the groomsmen were going to get ready at our wedding venue in their dressing room. The earliest they could get in was 8:00am, so that’s when the guys and second photographer arrived. My dad dropped my mom off at the hotel with the rest of the girls for our photos, and went over to the venue to make sure the lights for our centerpieces were on and greeting the guests as they arrived. 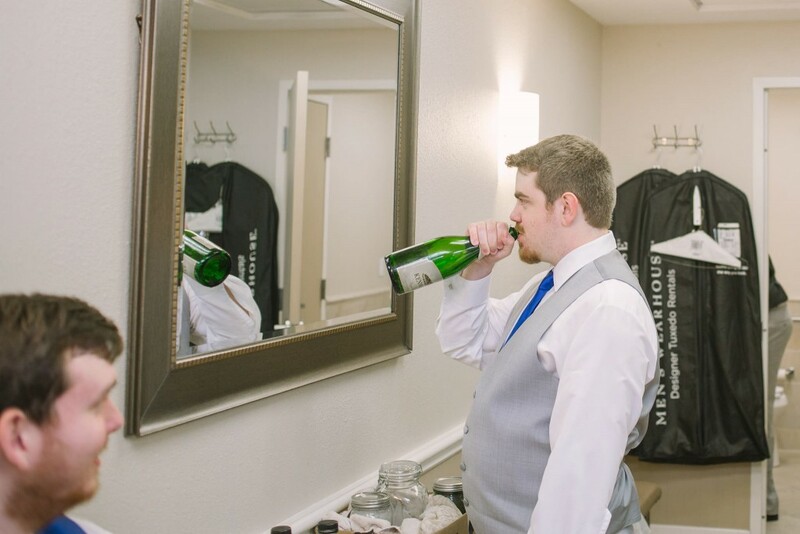 Just the final touches… with champagne! One of my friends from college drove me and a couple other bridesmaids to the venue to get there in time for our first look. 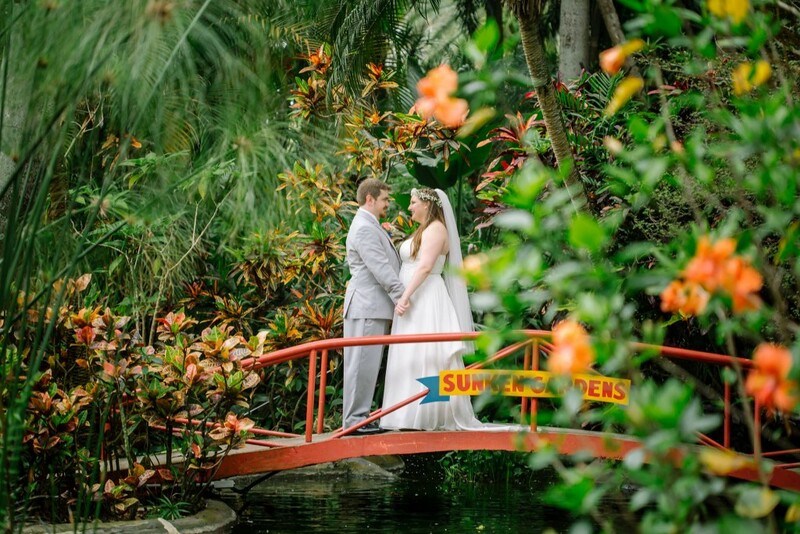 The venue was only about 5 minutes away from the hotel, so I was dropped off and the on-site event coordinators and the photographers made sure Brighton was ready for my arrival in a private part of the gardens. Meanwhile, the rest of the wedding party finished getting ready and waited in the dressing room before the ceremony. 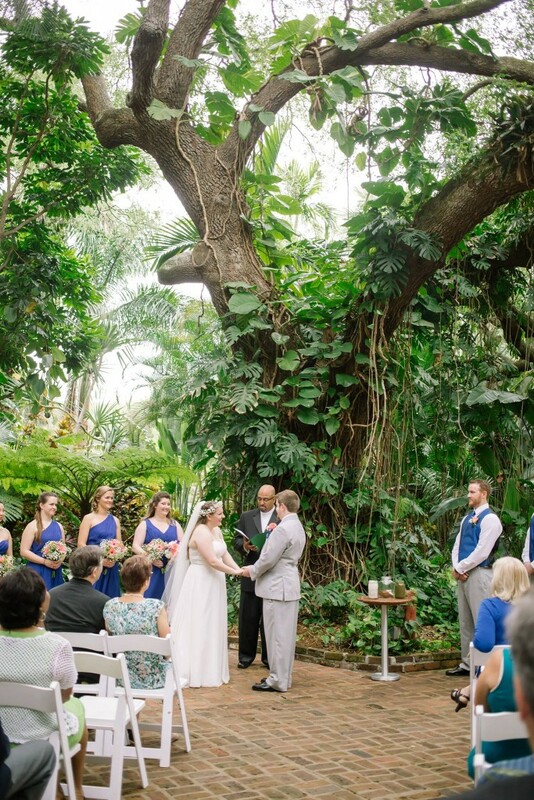 The trend in weddings right now is to do a “First Look” with the bride and groom (instead of having the first time being at the wedding ceremony itself). Brighton had already seen the dress a couple times, but I still wanted to have a moment before the ceremony with the two of us alone. It also allowed us to take our couple photos together before the rain came. 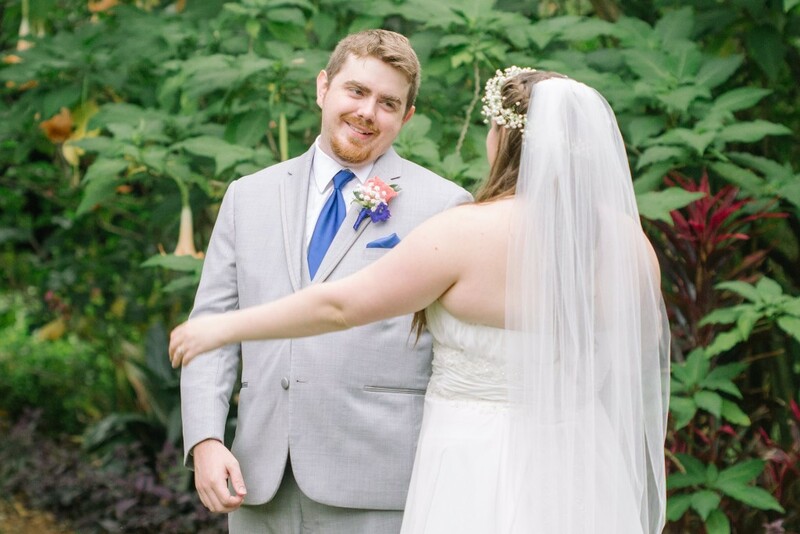 And my face as I’m excited to greet him on our wedding day! His reaction was perfect! Look at that handsome smile! 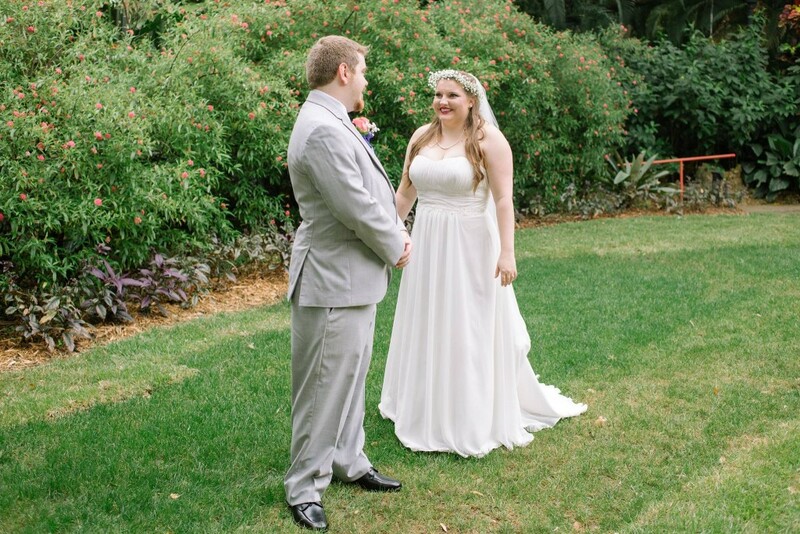 After the First Look moments, we went right into our bride and groom photos throughout the gardens. 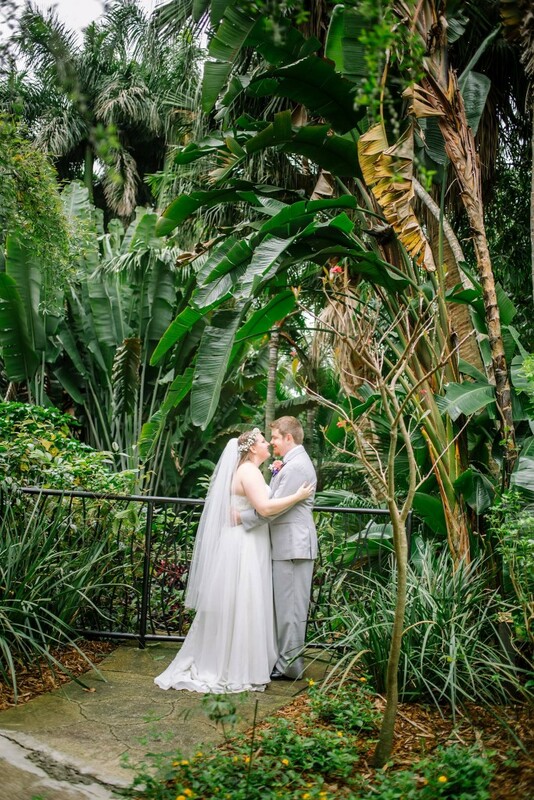 Rain was threatening the entire time, but photos out in the gardens were important, and my photographer made sure we moved quickly through the portraits. 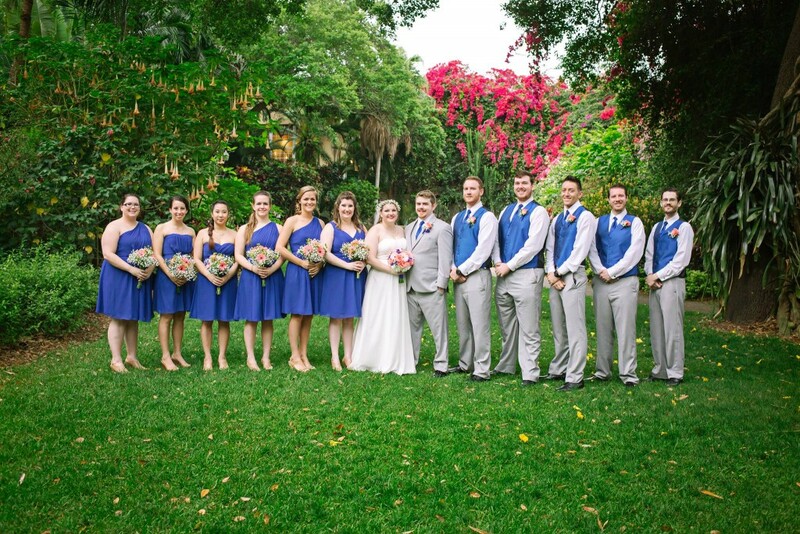 Once she felt we had sufficient photos, our bridesmaids, groomsmen, and immediate family joined us for some quick formal photos before the ceremony. We were shooting up until we had to line up for the ceremony. 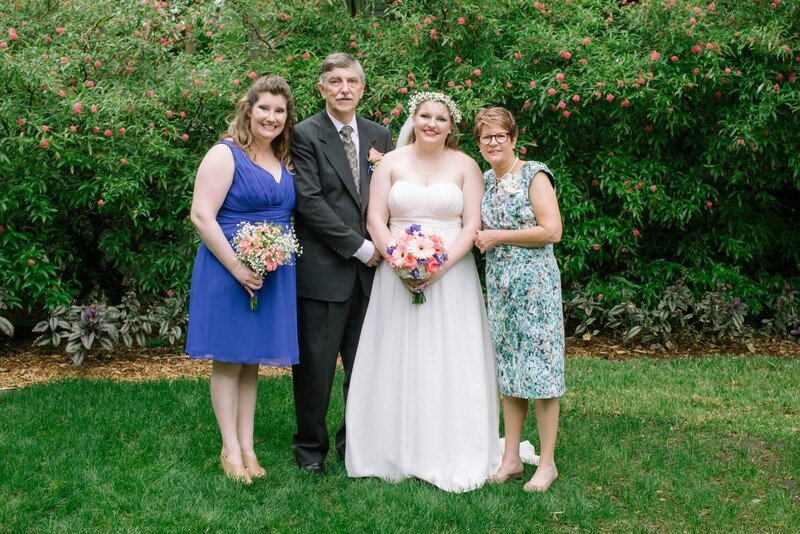 Since we had started the formals of the wedding party and family prior to the ceremony, we had to finish the list that I had given the photographer prior to the wedding day. 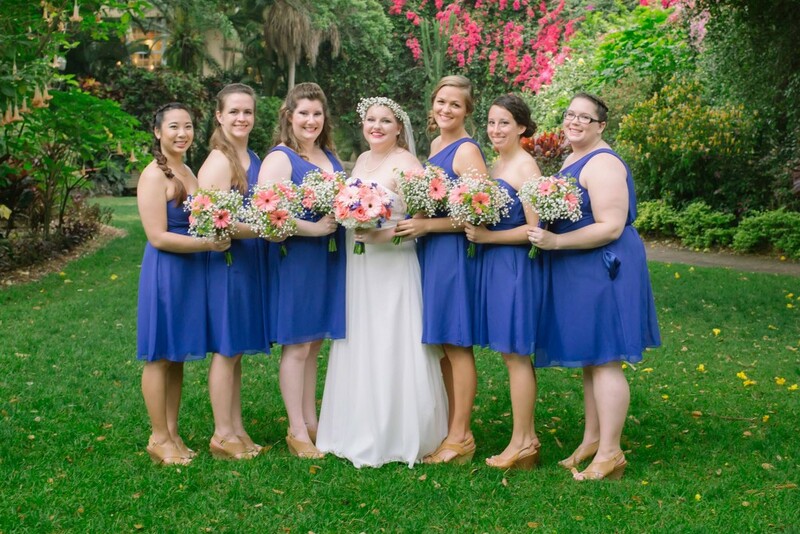 These are my beautiful bridesmaids! I tried to think of all of the family combinations that I could for this list. 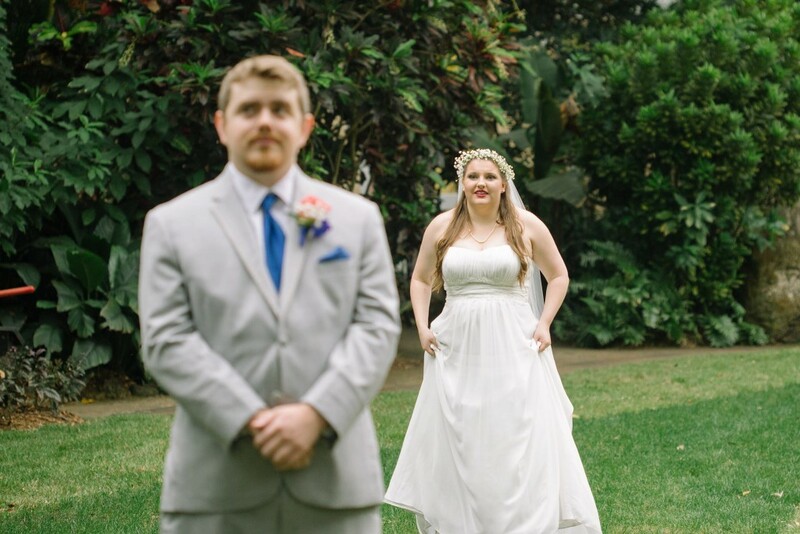 We were extremely rushed during this time, and my photographers literally had us stand there while people jumped in and out of photos as they called names. We were trying to get all the photos in before the downpour started. This is one part that I am disappointed by. 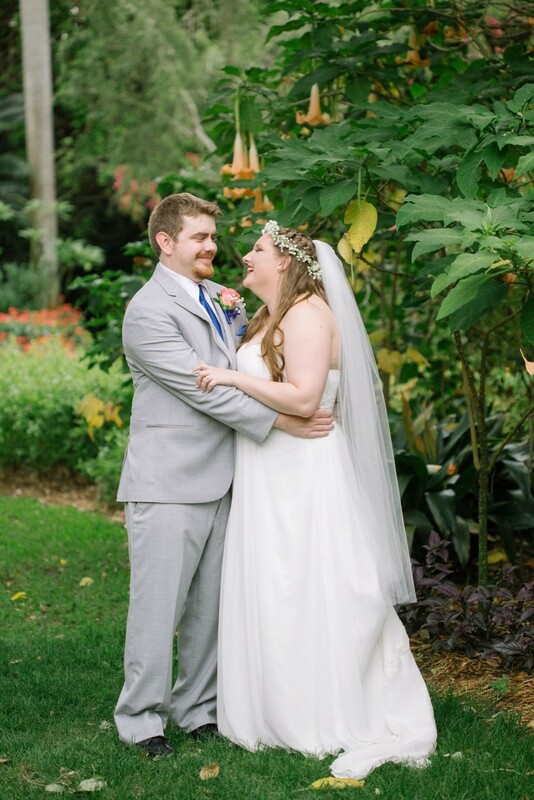 I wished we had gotten a few more photos that I had envisioned before the big day, but I am lucky to have gotten what I did at all. 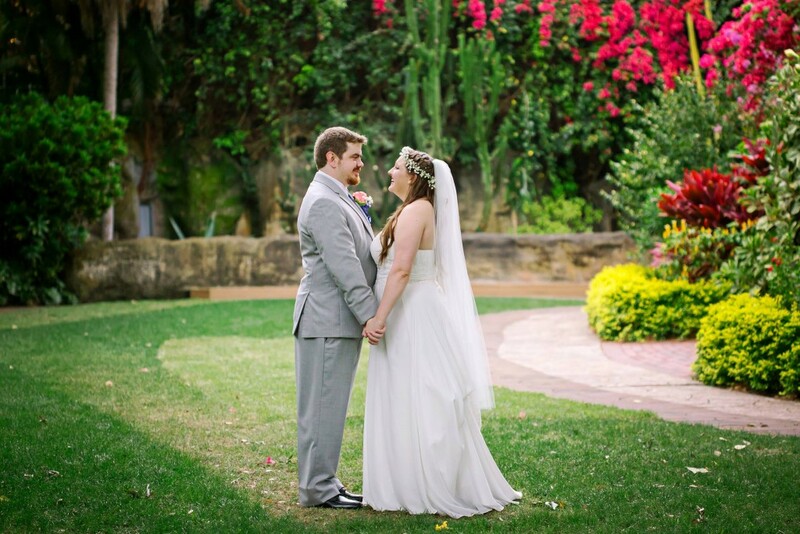 During our formal photos outside, our guest went up to the reception room. 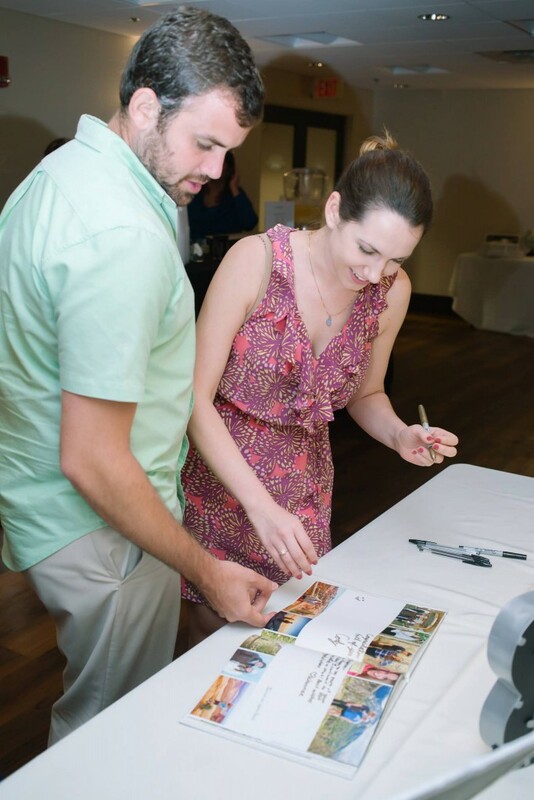 We had the guestbook for signing, the photo booth and costumes, and the seating ready for everyone. 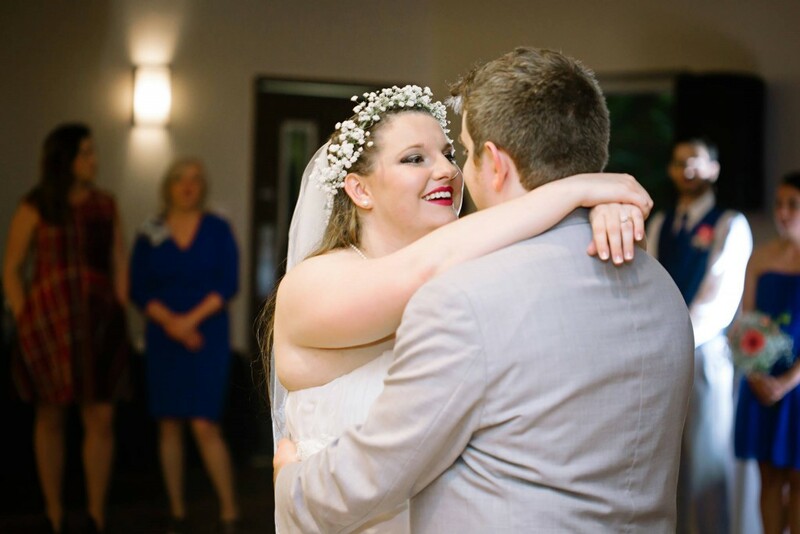 I learned during this process that the cocktail hour is simply a time where guests go somewhere else while the bride and groom take photos with everyone, and usually there are appetizers and drinks available. It was so early in the morning, that I felt that snacks were unnecessary, so we just had a cash bar available. Our DJ did a great job of making our grand entrance grand. We had discussed the days prior the order of everyone’s entrance, and to be honest I had forgotten all of our plans by that day. He also guided me quite a bit of what people usually did and I went with that. This was one of the important reasons I wanted a DJ. I didn’t want to add another layer of stress to my plate that day. I just wanted someone to show up, plan it out, and do it for me. 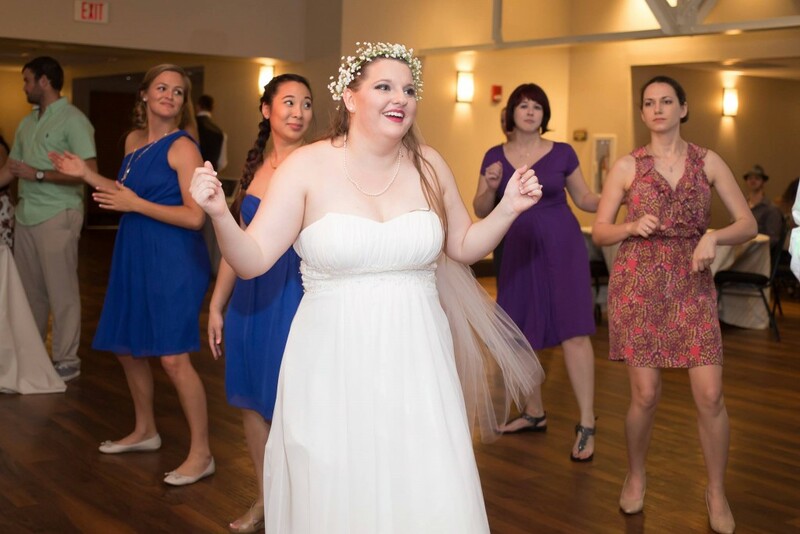 Plus, having a DJ really made the reception feel like a party— which is exactly what I wanted! 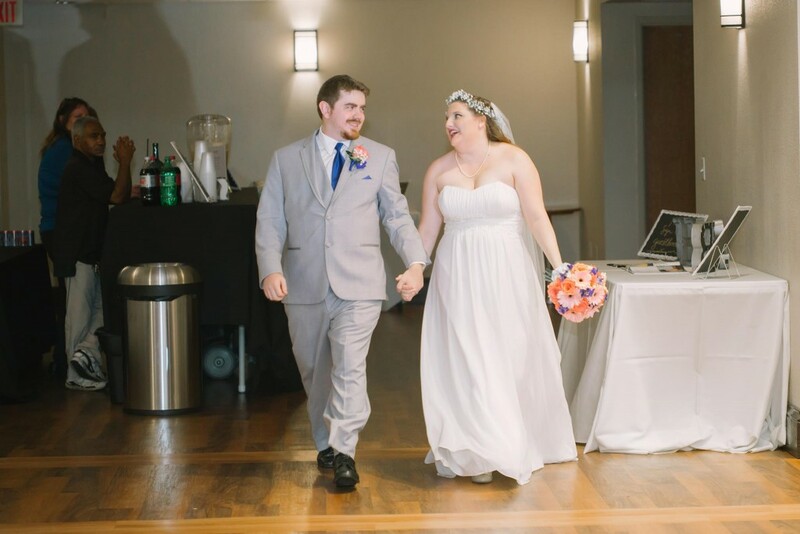 We went straight from the entrances to our first dance. I have a confession for this— I felt like it was a disaster. 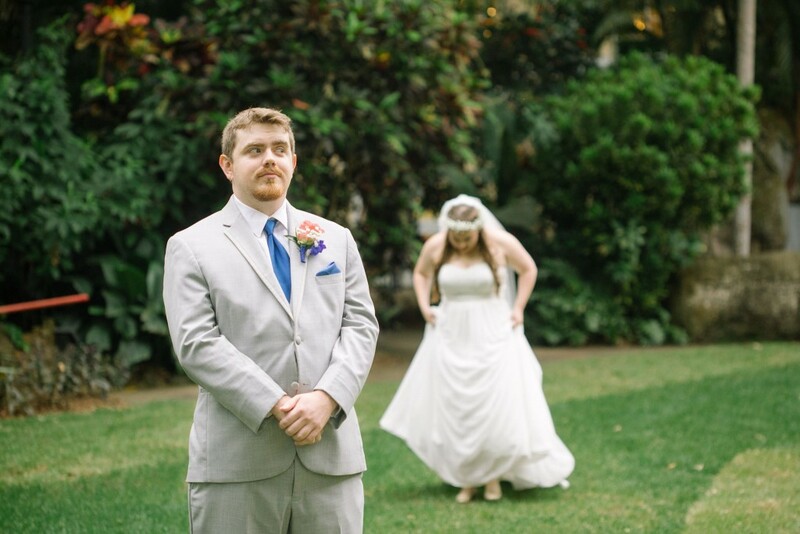 The only reason being that my dress would not stay bustled, and I kept tripping/sliding on it. It was extremely distracting, and honestly it tainted the moment for me. I don’t think Brighton feels the same, but we found a bustle-substitute later during the reception. 😉 (Notice the photo below of me holding the dress). 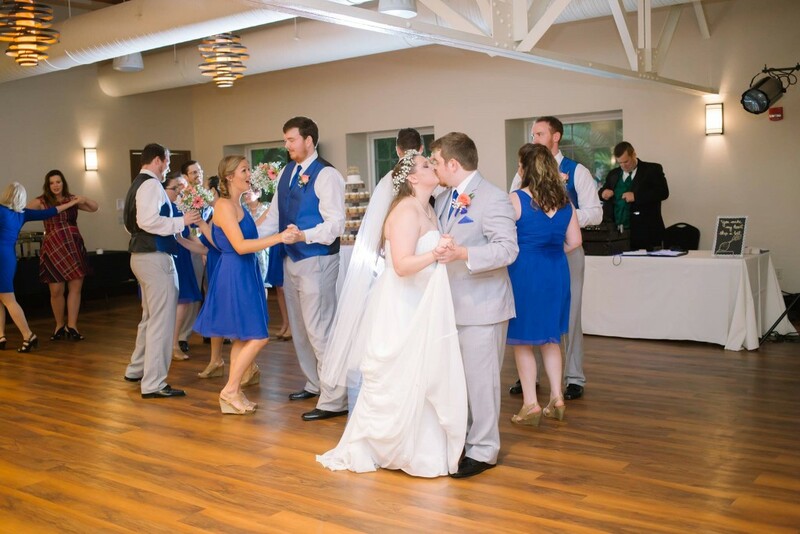 The DJ said that we could nod when we were ready for the wedding party to join us, and I found myself feeling very anxious about the dress so I called them in sooner than later. My dad and I danced next right after that. Luckily we danced in place for the dance, and my dress didn’t cause as much of an issue. It was a very special and emotional moment for both of us. 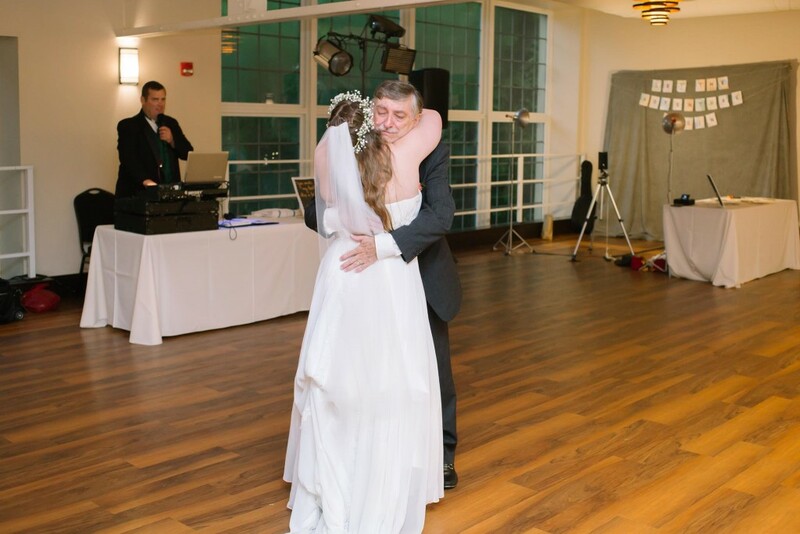 I love my daddy, and I think this photo sums up the moment. 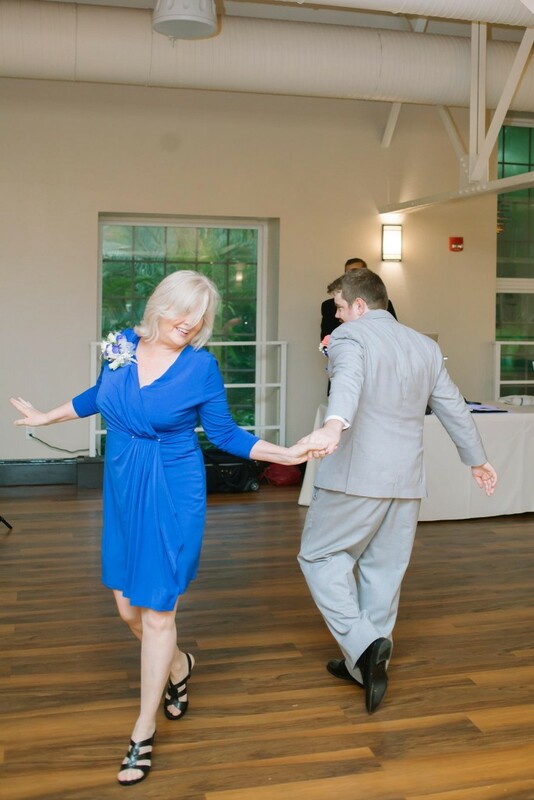 Brighton and his mom had prepared a choreographed dance for their song. They got a lot of applause, and I think that it showed their personalities perfectly! They looked like they were having a great time out there! The DJ had suggested doing any toasts before the buffet line and dancing. This was a great suggestion. 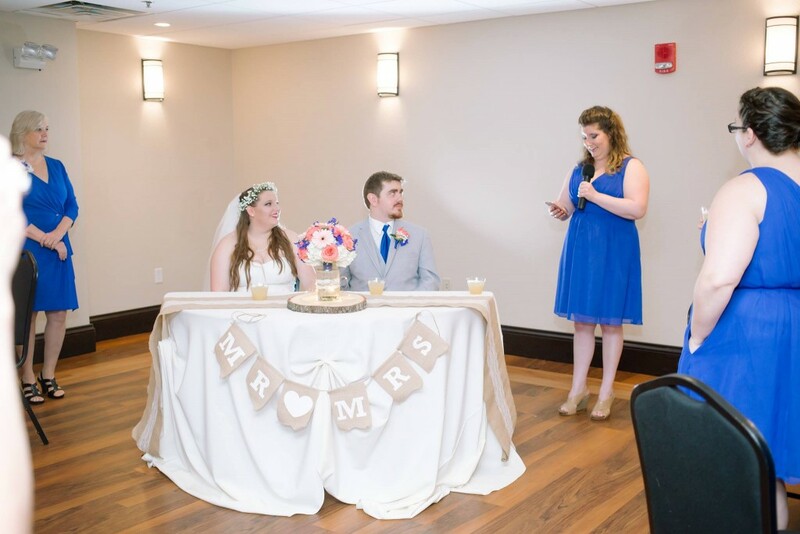 My sister and Brighton’s brother gave excellent, appropriate speeches for both of us. My sister said that she had accidentally deleted her entire speech just before being called up to do it. Good job, Katie! My caterer was Carrabba’s Italian Grill. It was consistent, and I heard that it pleased mosts guests. They have a store right next to my venue, and it was cheaper than most of my other options on the list that Sunken Gardens provided. 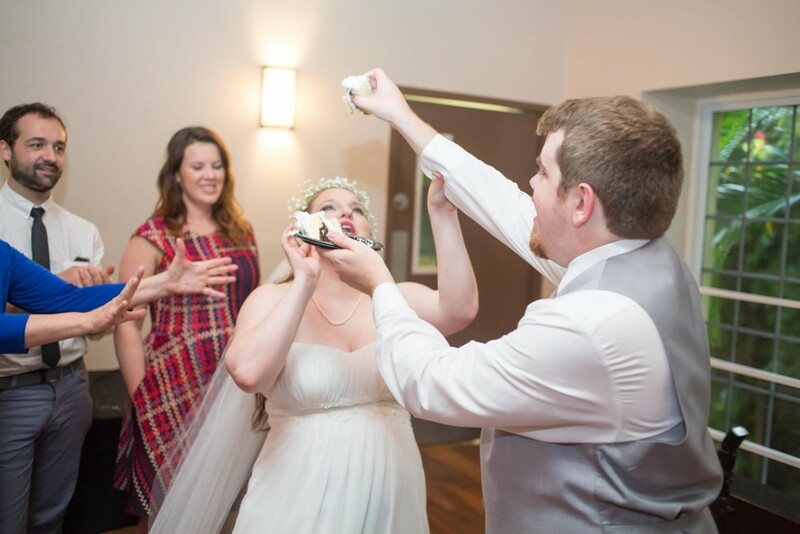 After working with a catering company at work, I understand the costs behind it a lot better, and I searched for the best and most cost-effective way to feed my guests. Honestly, I think it was better than if I had a catering company do it because the food was very fresh (no delivery time) and exactly what you taste when you go to the restaurant. 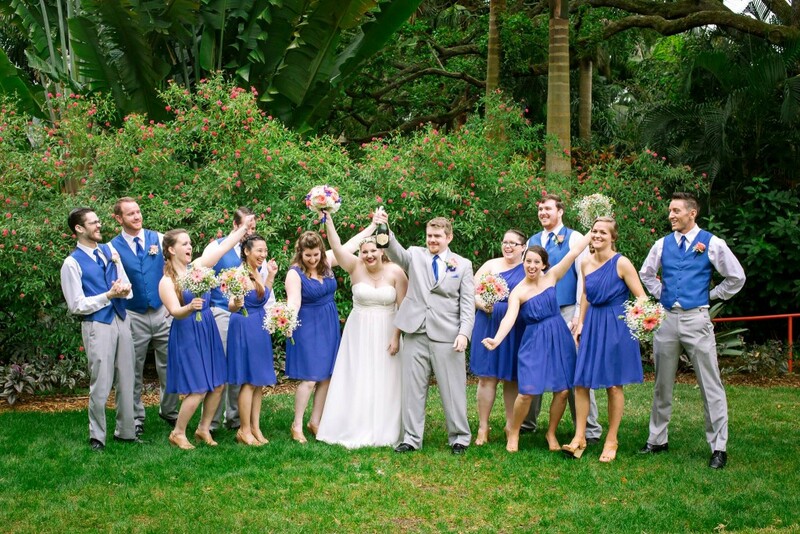 12:00pm – Dance, Drink, and Be Married! As lunch was wrapping up, our DJ prompted us to take a few shots in our homemade PhotoBooth to start the trend. It worked! 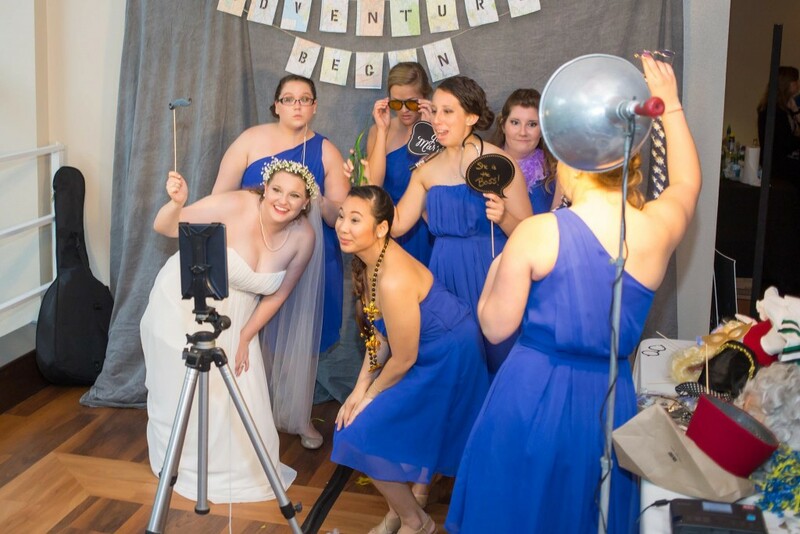 We had over 500 photos just from the photobooth, which I posted on Facebook right after the wedding. People got really creative with our costumes and signs! It was a hit and better than any other wedding favors I could come up with or buy. 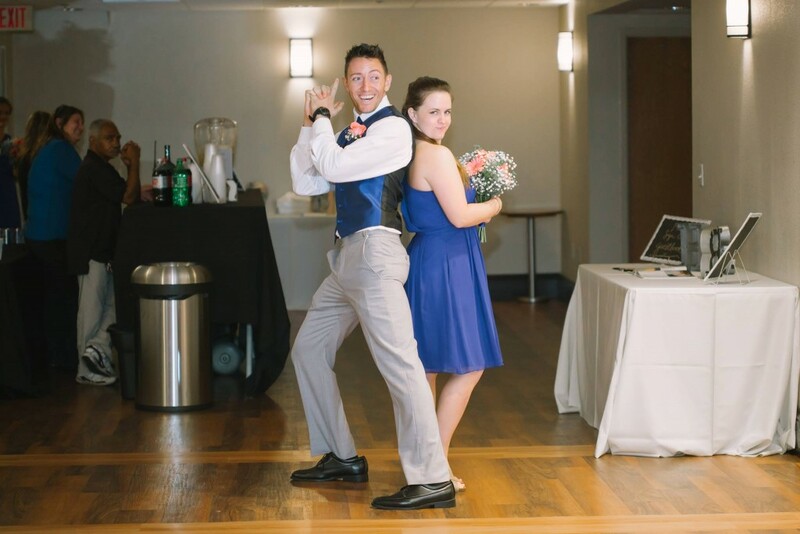 Breaking it down with my groom! 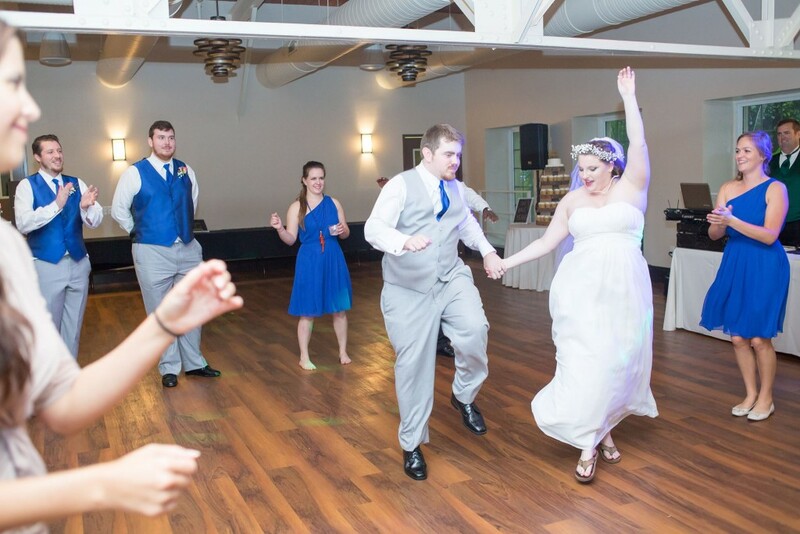 I danced the entire time. People drank the whole time. We decided to go with a cash bar for the cocktail hour, open bar for 2 hours of our reception, and cash bar for the last hour. It worked perfectly. Since we had a daytime wedding, we were aware that people wouldn’t be as inclined to drink as much as a night ceremony. I heard no complaints (at least to me or my family) about our choice in this. My friends are awesome because they danced the whole time with me. I assured my DJ that if he kept the music going, we’d keep dancing. We delivered on that promise! It was so nice to get to see some of my high school and college friends that I don’t get to see often at the wedding. It was like a high school/college/family reunion without the awkward moments. The best kind! About half an hour before the DJ left, he gathered everyone for the cutting of the cake. As I mentioned previously, I had a cupcake cake with a small cake on the top for us to cut. I didn’t really eat the cake, but it made for a very simple and easy process since people could just grab a cupcake (chocolate or vanilla) from the tree. 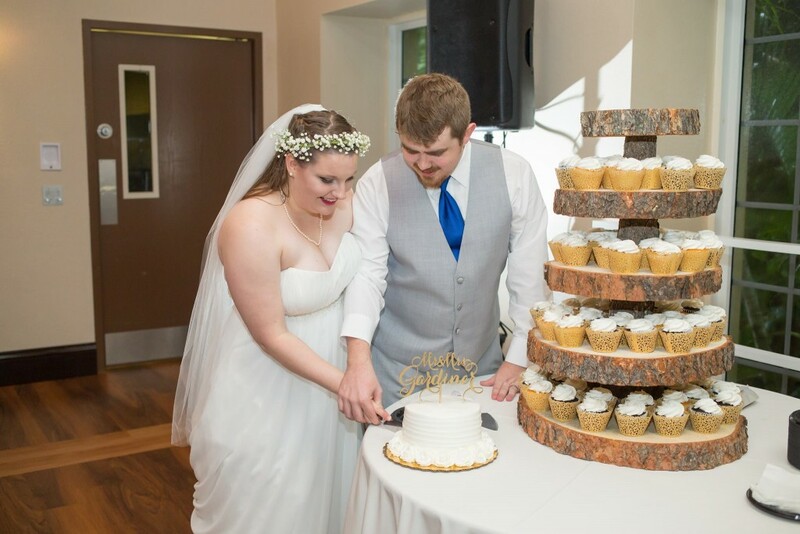 No pressure on us to cut the cake well and we got to experience the wedding tradition, and most importantly, get the photos from the moment! 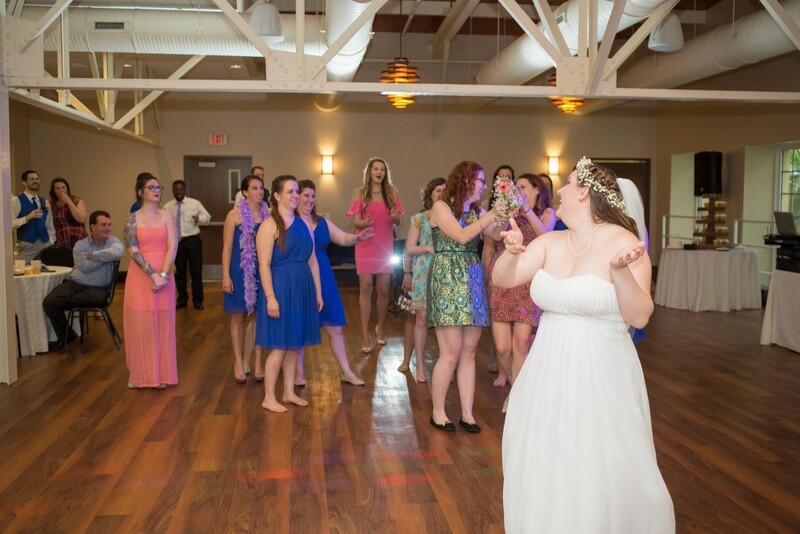 At the very end, right before everyone started to leave, we gathered the single ladies for a bouquet toss. I apparently am not a good bouquet toss-er because I threw it to Shannon in the very front of the crowd. Oh well. I was wearing a garter, but Brighton did not want to do that tradition, and I didn’t care either way. 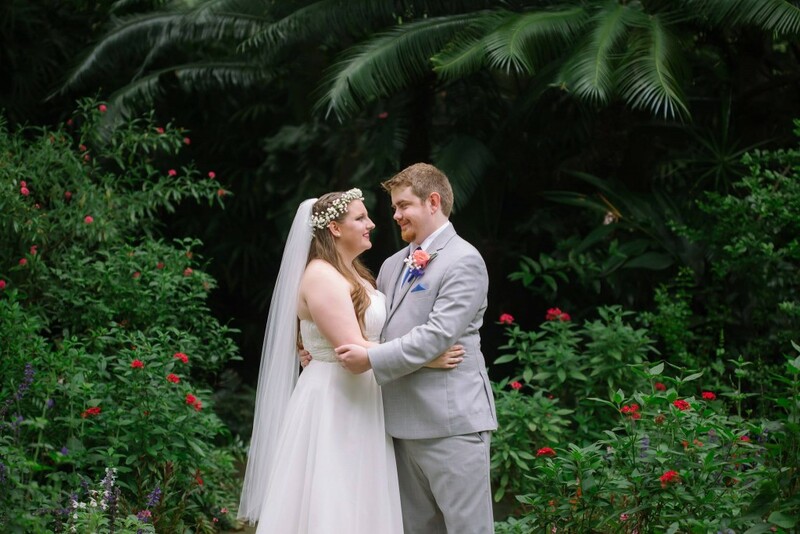 2:30pm – …And They Lived Happily Ever After! We had to be out of there and cleaned up by 3:00pm, so the event ended at 2:30pm. This was the perfect amount of time for the reception. 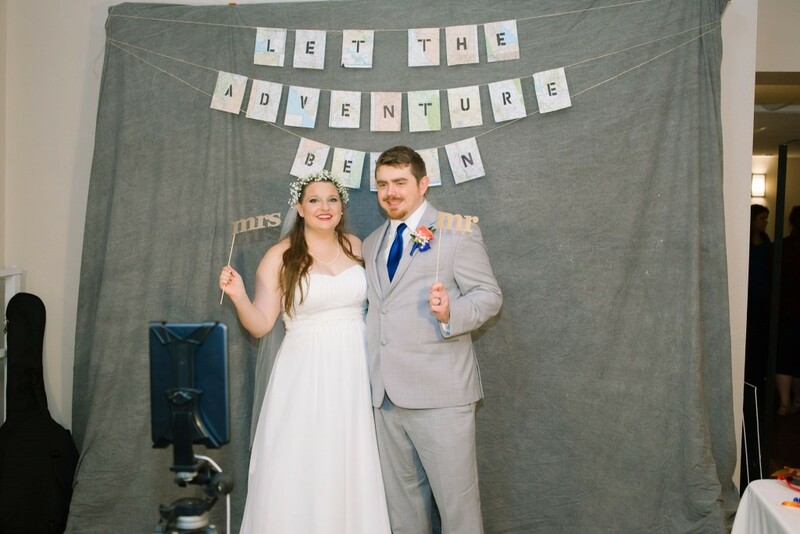 We didn’t have a grand exit as newlyweds, and while I would’ve loved the photos, I just didn’t plan it out. Plus, it was raining and sparklers would’ve probably been wasted. We cleaned everything up super quickly and got out of there. We were so exhausted mentally, emotionally, and physically from everything leading up to this big moment that we were ready just to relax. I tried napping but couldn’t because I was just too excited and wired from the big day. Brighton and I went out with most of the wedding party and some friends in town in downtown St. Pete later that night. I loved being surrounded by my closest friends and family celebrating this important milestone together. 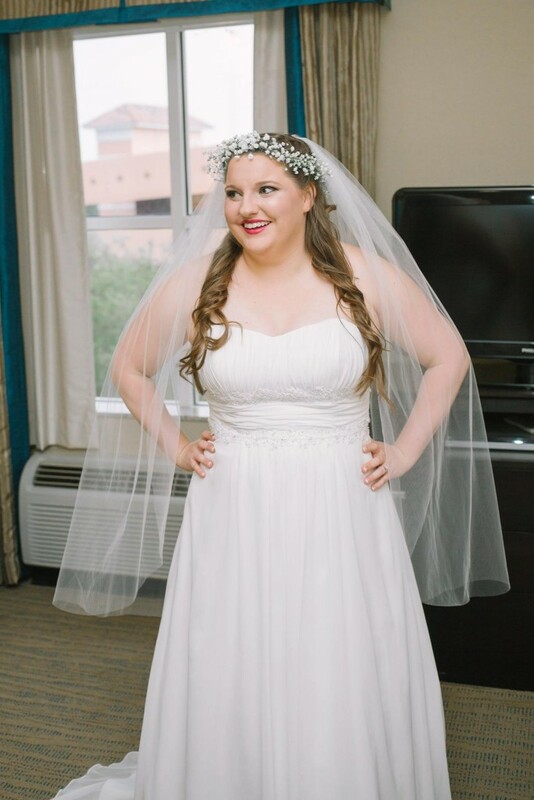 It was an amazing end to the best day of my life (so far)! 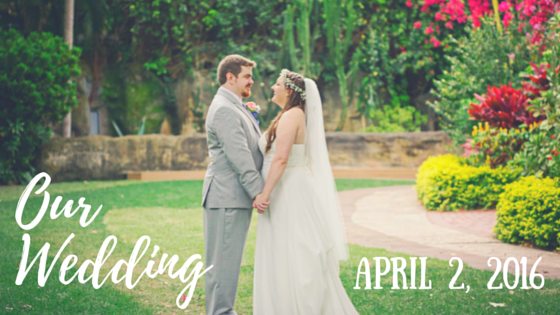 Have you planned a wedding? 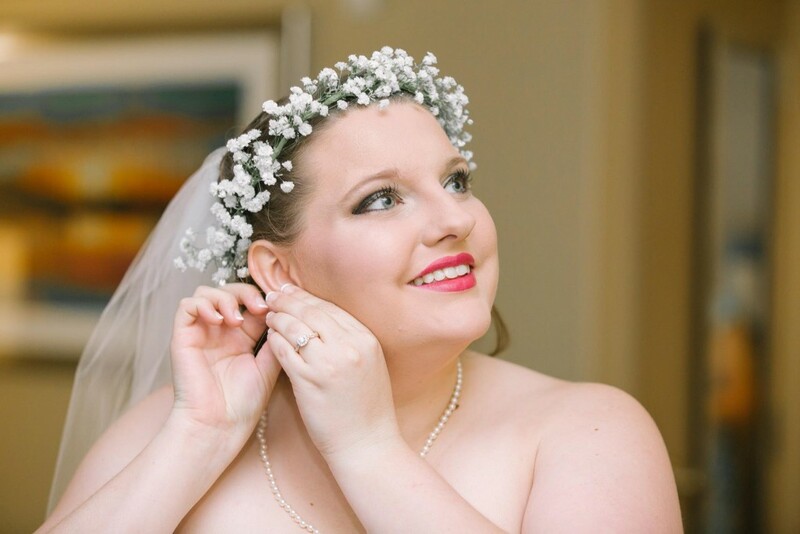 What are you/did you most look forward to on your wedding day? What went well? What didn’t?